Wind chimes from Outdora present an opportunity to harmonize with nature in a whole new way. You'll be surprised at how the tranquil melodies of these outdoor musical instruments, powered by nature's gentle breezes, add to your enjoyment of outdoor-and indoor-living. We offer many unique wind chimes of varying tones and designs to suit your sound and style preferences. Select your favorite by listening to "audio samples" of select wind chimes with the simple click of a button while you shop Outdora online. Outdora has an elaborate selection of windchimes which include manufacturers such as Music of the Spheres, Woodstock Percussion, Grace Notes and Corinthian Bells to name just a few. From dinner bells to meditation gongs to musical windchimes, Outdora's selection is windchimes is sure to carry just the right product to heighten your outdoor audio experience. 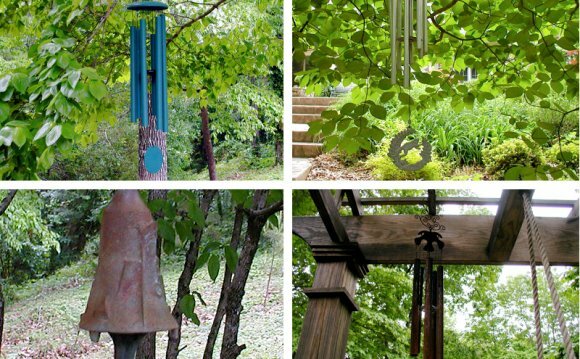 Our large selection features wind chimes crafted in a variety of materials. Choose from aluminum wind chimes pre tuned to a specific tone or melody; bamboo wind chimes with deep tones that mimic the sounds of rain or exotic drums; copper wind chimes that gracefully age to an antique patina; or glass or capiz seashell wind chimes that add a splash of color and light to your outdoor living space. We also carry hanging gongs for a wind chime choice with the aura of the Far East. Hang outdoors, or indoors, and enjoy your gong's clear shimmering sounds or as an interesting focal point. Also, shop our collection of pewter wind chimes in fun themes to show your personal style or our farm bells crafted of durable metals to provide years of service. Shop Outdora for premium chimes offering the finest sound and clarity of tone available. At Outdora we offer items of the highest quality at the lowest prices to provide you with the best value. Outdora has a price match policy. Find it cheaper anywhere else, and we'll match that price. Outdora also includes free shipping on all their wind chimes. Free Ground Shipping to locations in the continental US is included with every item, and there is never a handling charge. Steps on how to make a kite?